The Black Hills Back Country Byway runs 21 miles off US-191 between Clifton and Safford. There it was—an obscure, thin black line on a map, a 21-mile dirt road shortcutting two sections of Hwy 191 along the eastern edge of Arizona: the Black Hills Back Country Byway. 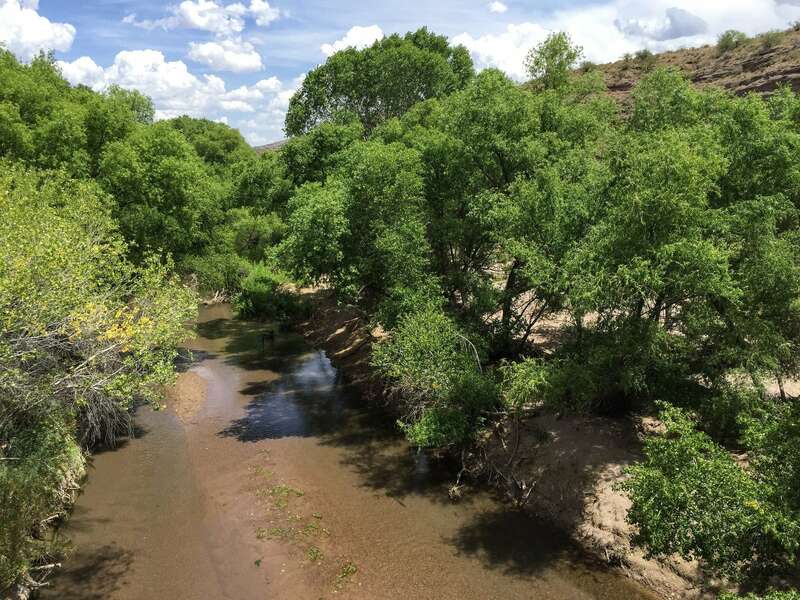 I had first noticed it when I was inspecting the map for the Gila Box Riparian National Conservation Area, one of the state’s many National Conservation Lands. 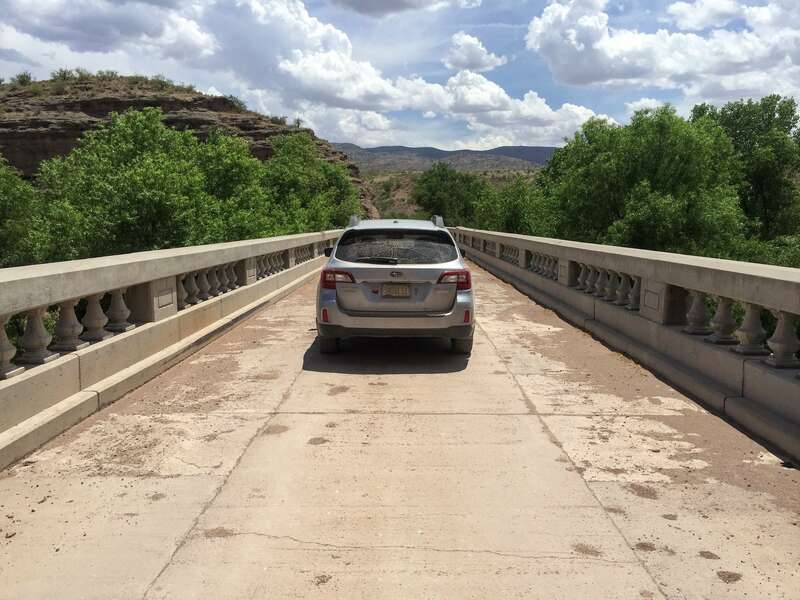 The road subtly poked into the Gila Box, providing a popular put-in spot for rafters down the Gila River. I wasn’t here to raft the river though—at least, not yet anyway. 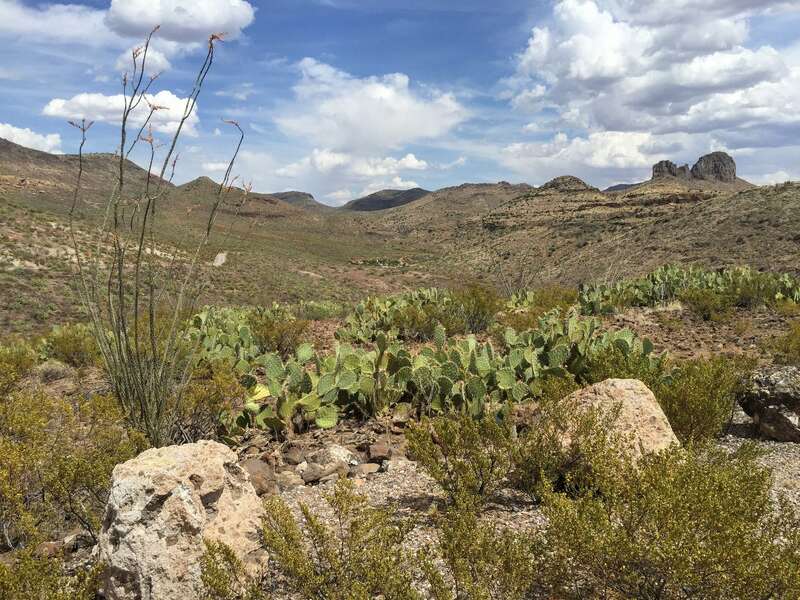 Arizona Highways had included the route in its listing of scenic drives in the state, so I had been attempting to work it into various trip itineraries for quite some time. On the return journey from southern New Mexico last weekend, I found my opportunity. As we made our way north from the settlement known as “Three Way” [insert giggling], we wondered if the basalt-covered hillsides to the west were the black hills after which the road was named. 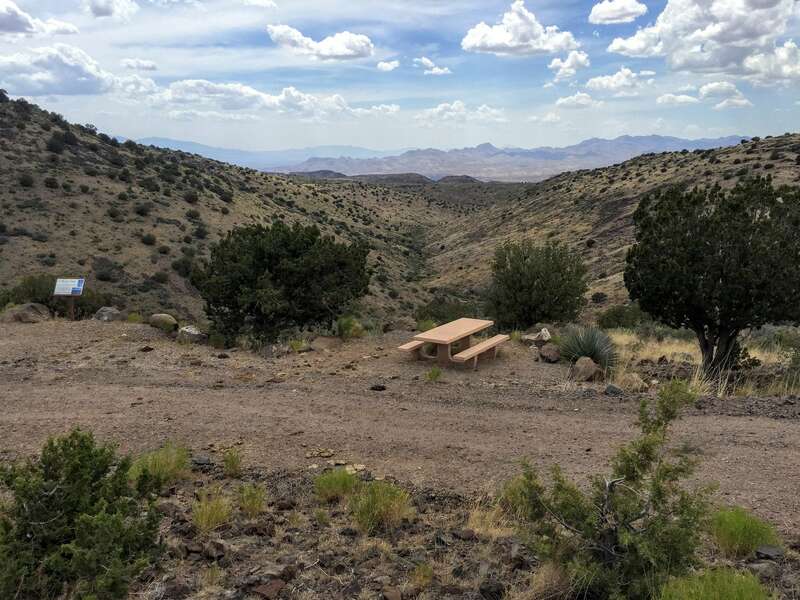 We searched online for a detailed map of the backcountry byway, but—as is often the case these days—the BLM website was not forthcoming. After a bit of searching, we discovered that the ‘Guthrie’ and ‘Toll Gate Tank’ topo maps seemed most useful quads for navigating the route, and the Gila Box Riparian NCA map probably gives the best overview. Having a map isn’t essential to this endeavor, as the main roadway is well defined and the turnoffs are well signed, but it’s always a good idea when you’re traveling in the backcountry. While high clearance vehicles are recommended by BLM, I’d consider the road passable under dry conditions by most sedans. 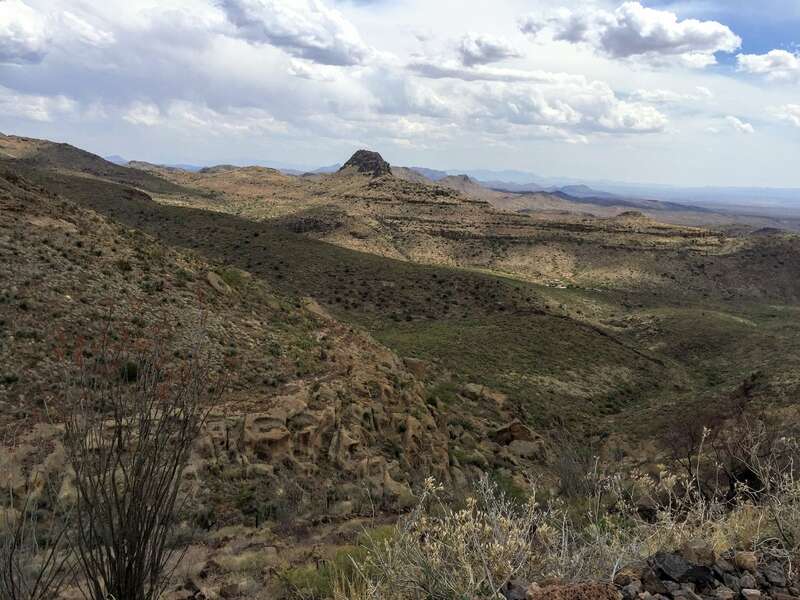 Nonetheless, this area is remote and you should be fully prepared with extra water and emergency gear before attempting this or any backcountry drive. Not including stops, you’ll need roughly 60-90 minutes to drive from end to end. You can access the Black Hills Back Country Byway off US Highway 191 near milepost 139 east of Safford and near milepost 160 south of Clifton. Both ends are well-signed and feature an informational kiosk a short distance up the road. The Black Hills Back Country Byway isn’t a knock-your-socks-off scenic drive, but it is definitely a worthy detour if you’re passing through the area. 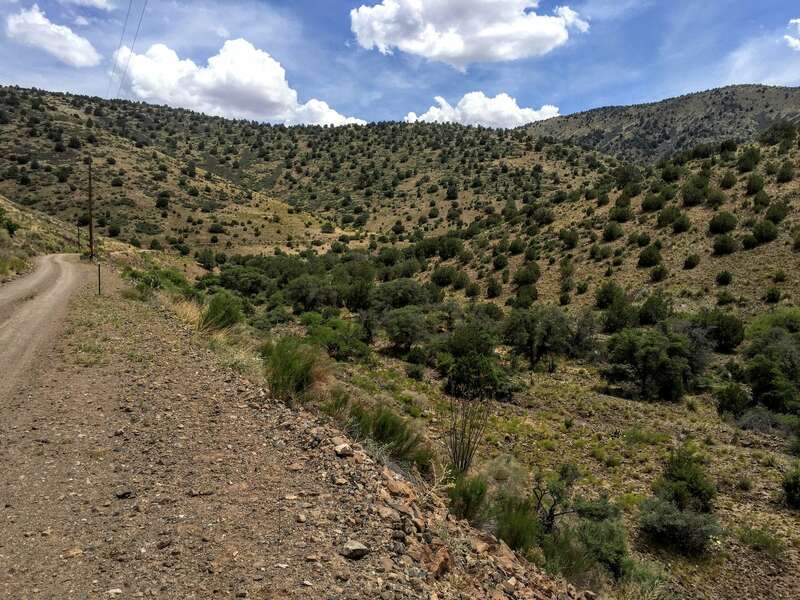 The byway follows the old road between Safford and Morenci built in the 1930s. 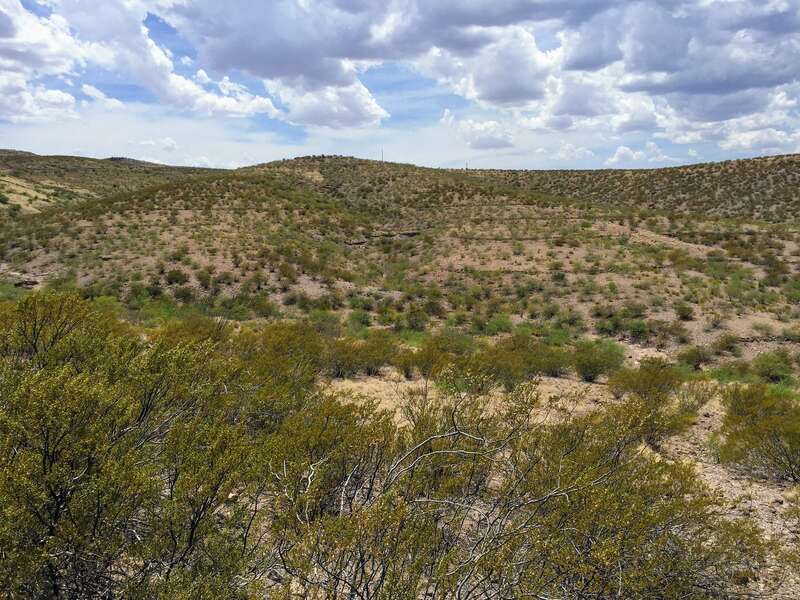 There are a handful of interpretive sites and picnic areas along the way, as well as access to several rugged roads penetrating more remote areas. One of those side roads accesses the Black Hills Rockhound Area, where you can try your luck at taking some gems home. 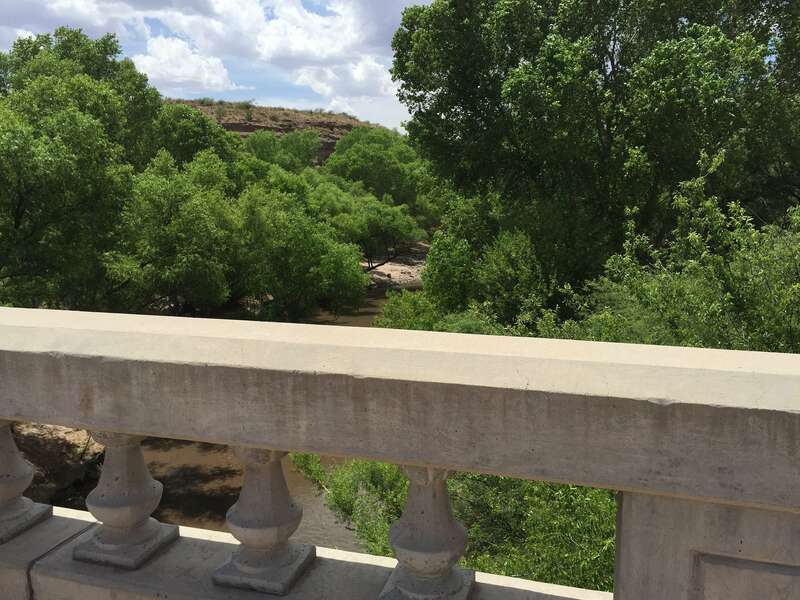 You’ll also cross the historic Old Safford Bridge over the Gila River (built in 1918 and listed on National Register of Historic Places, but more recently renovated), which offers a great spot to stop and enjoy the river and the resulting shade. The 7-site Owl Creek Campground is on a bluff overlooking the bridge and riverway for those who want a longer experience. The Black Hills Back Country Byway isn’t a knock-your-socks-off scenic drive, but it is definitely a worthy detour if you’re passing through the area. 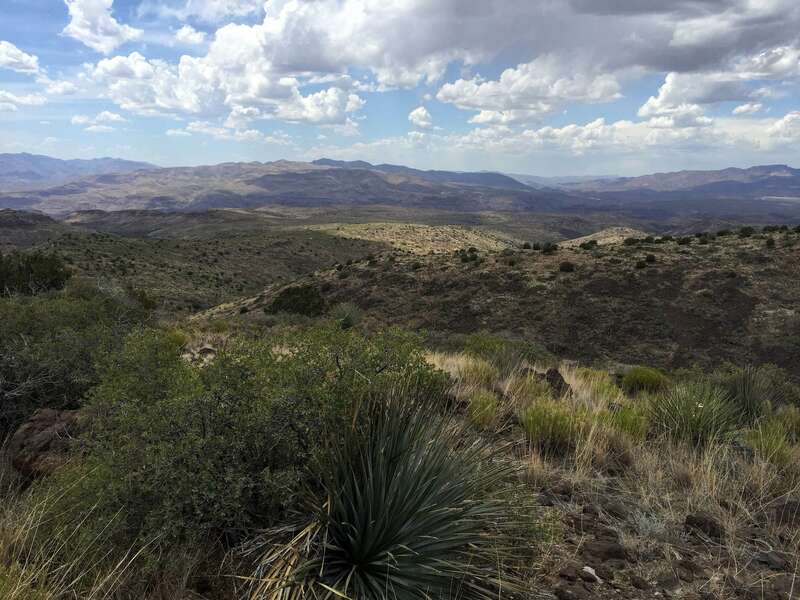 It’s a rather pleasant drive through the backcountry of southeastern Arizona. 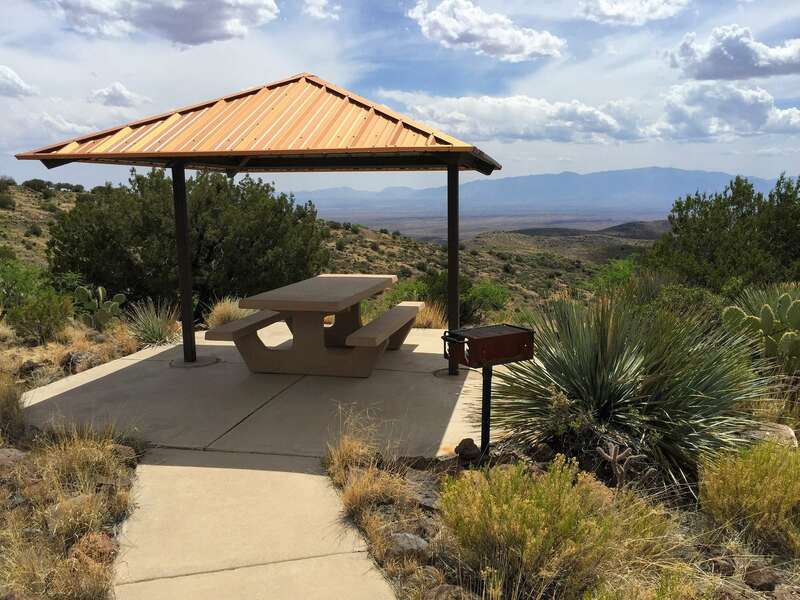 The view from the Canyon Overlook Picnic Area overlooking the surrounding topography with Mt Graham looming in the distance is definitely camera-worthy. And the thin ribbon of lush green riparian vegetation along the Gila River also begs for an extended stop. The scenic drive would be a perfect compliment to any journey down the famed Coronado Trail.